1. 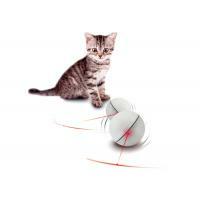 The LED ball is a good toy to funny your pet cat. 2. Making a good and funny interaction between you and your cat. 3. 360-degree patterns that change directions unpredictably. AUTO MOVE - Auto move interactive cat ball toy, can automatically change the moving direction when meet obstacle. LED LIGHT - Help catch and attract cat's attention, encourages cats' natural hunting instincts.Please installed the batteries in right direction(Plus side down). 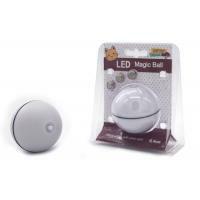 Or LED light will not bright but the ball still can rotate. 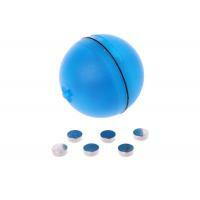 INTERACTIVE TOY - Nontoxic and eco-friendly ABS, allows cat to see, chase and swat the ball. Animate your pet for prevent boredom and reduce damage furniture. 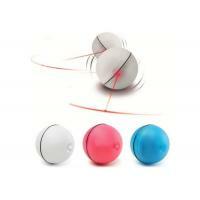 EASY USE - Remove the insulating strip and turn on the switch to start play. Only moving on tile or hardwood floors (Not recommended for use in the carpet). 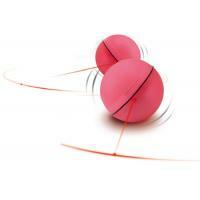 A creative rotate toys for extra fun! Petop is a professional pet toy manufacturer who focuses on new interactive dog toys, electronic cat toys development. 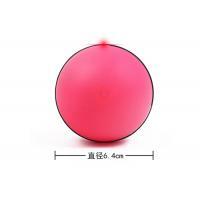 Most of items have been designed by ourself and we have those items' patent,which have a good reputation among consumers. 1)Innovation oriented, in new products and manufacturing technology should continue to research and development. 2)Continuously improve productivity and improve product quality. 3) Be absolutely strict in quality control.